I am so glad we met this lovely pair this past March at a bridal expo! Our paths crossed, and we made a genuine connection. 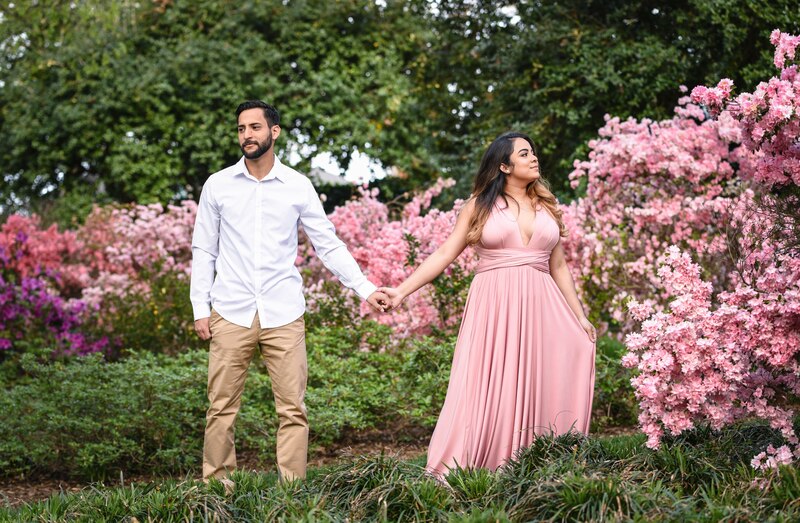 Now, I have the honor of being their wedding day photographer this Spring. Could this couple be any more beautiful together? 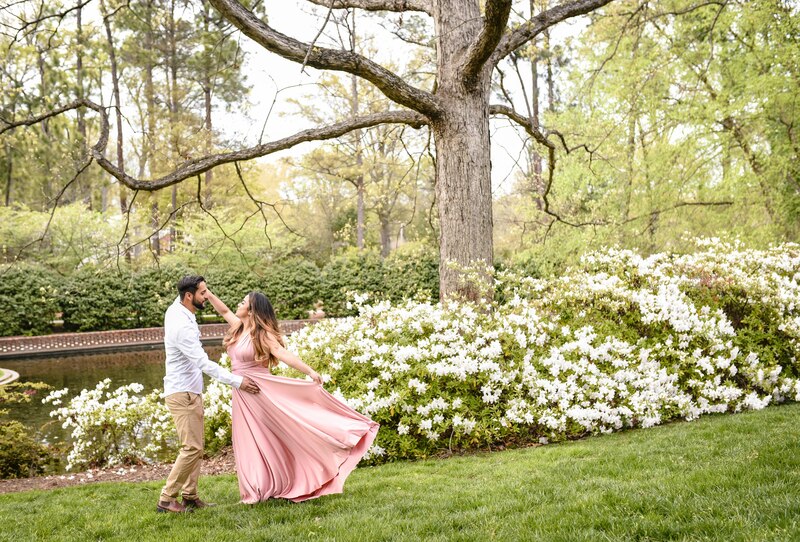 I had the pleasure of walking through the southern Glencairn Gardens of Rock Hill, SC capturing Jessica and Eric’s love for one another at every stop. These two are perfect for one another, and their friendship shows through their pictures. They both looked absolutely amazing in their classy outfit choices. I loved asking Jessica to twirl in her pink dress as Eric spun her around or dipped her into a kiss. 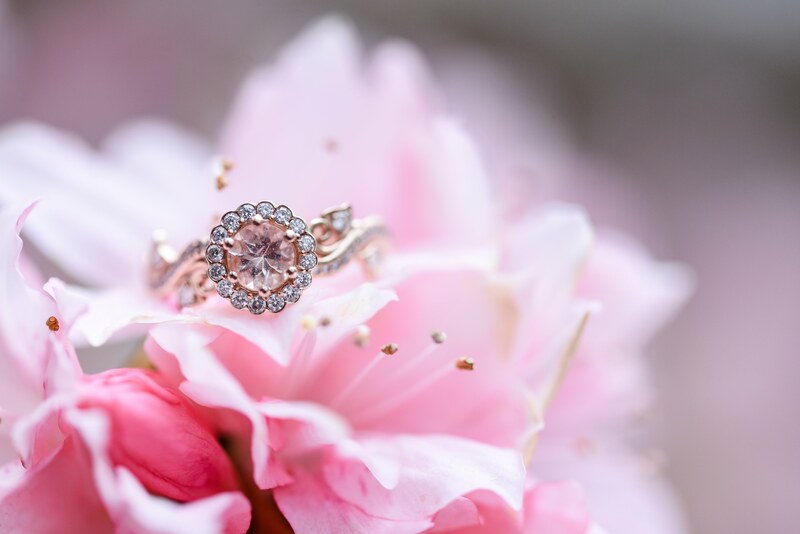 I think they got enough practice for their first dance on the upcoming wedding day 😉 The pink diamond, rose gold, custom Camellia Jewelry engagement ring that Eric created for Jessica could not be more fit for her personality. Just look at it! 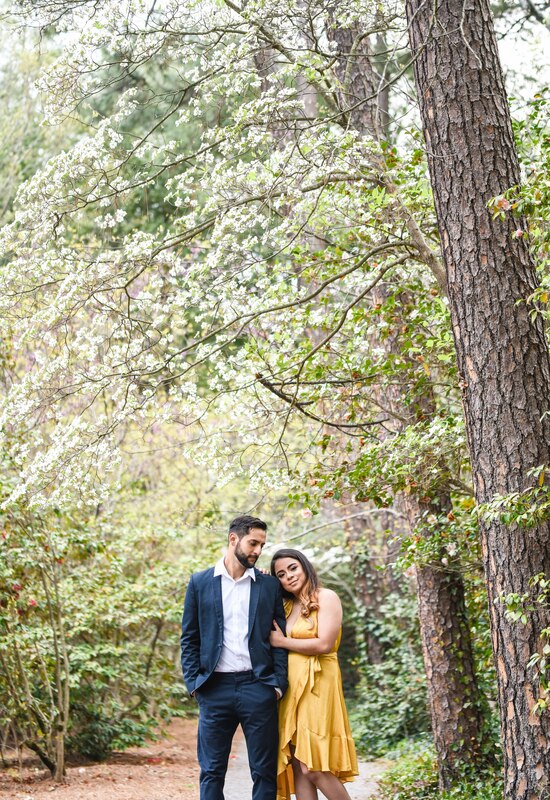 The abundance of color at our location with everything in full bloom was a match made in heaven for showcasing these two lovebirds. I may have suffered an allergy attack afterwards, but it was totally worth it. Sydney is a traveling photographer based out of the pretty city of Fort Mill, South Carolina. She’s had the pleasure of meeting and serving amazing couples and families since 2012. What you will see with Radiant Photography by Sydney Danielle is the love for authentic, candid moments and beautiful, vibrant details of wedding days. Over the years, Sydney has truly specialized in Weddings & Creative Child/Family photography. You can visit her website here. Be sure to be part of our community by signing up for the newsletter. Get an instant download of our Nice Photographer’s Guide just for signing up!